Posted on 18th January 2018 at 09:20. 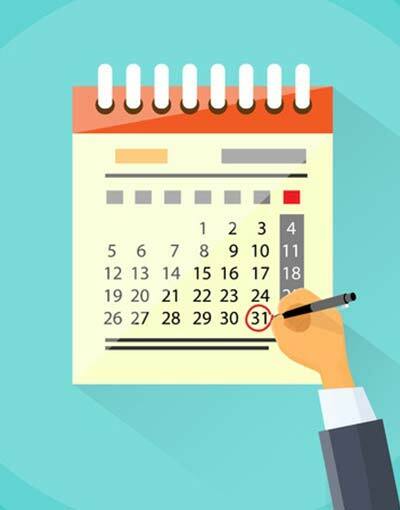 Key calendar dates throughout the year can be very useful for businesses – as using trending hash-tags and targeted content surrounding particular events and news stories can help companies to gain valuable traction, exposure and leverage through association alone. This highly effective marketing trend goes far beyond the usual events like Christmas, Easter and seasonal campaigns for Summer, Autumn, Spring and Winter – identifying other ways to excite and entice potential customers. So what’s the best way to capitalise on key dates and events throughout the year? Here we share our three top tips. There are ‘special’ days almost every day of the year – ‘World Pirate Day’, ‘National Hug Day’ and ‘Mental Health Awareness Day’ to name but a few. It’s not reasonable, rational or productive to try and capitalise on each and every one – so it’s important to be selective. Sit down and determine which days will be the most relevant (and beneficial) to tie in to your company. If you’re an Italian restaurant and takeaway ‘World Pizza Day’ and key sporting events could be important. If you’re a dentist ‘World Toothache Day’ and ‘Oral Health Awareness Week’ will be better. How can you obtain a list of days, events and festivals to capitalise on throughout the year? There are two ways to find lists of relevant concepts. Firstly sites like Days Of The Year and Awareness Days provide an easy to use interface, enabling you to pick out events that could be relevant and exciting for your target audience. The second way to determine which annual celebrations might work well for you is to look at what the competition are doing. How are other companies in your sector capitalising on seasonal events? Once you’ve determined which days may be beneficial for your business, it’s time to put together a plan of action. If you do things ad-hoc and last minute, the quality of your campaigns will reflect that. Plan and prepare in advance, putting together concepts before creating unique and diverse content to accompany your campaign. Need digital marketing support to help your business to stand out amongst competitors online? Get in touch today. Preparing for voice search and AI – 3 things you need to knowIs Google Plus dead?